When is the last time your Inventory Optimization (IO) program saw the inside of a warehouse, the bed of a truck, or a container floating across the ocean? Most inventory optimization programs overlook the harsh realities of replenishment and logistics. How does your program stack up? Note: We’re in week four of our series on inventory optimization. While it’s true that inventory optimization is largely a math equation, the devil (and the profit) is in the details. Most solutions talk about carry cost, acquisition cost, and profits because it sounds good and seems impressive, but what is really happening under the hood of your IO solution? Imagine that your inventory optimization program calls for trucks to come in to your main DC once every two weeks. That’s well and good, but what if your two-week demand forecast falls below vendor minimum? Should you build up your order or just go without for a few weeks? Your algorithms must take vendor minimum to ship and vendor SKU pick size in to account. If you can meet minimum only once every 3 weeks, then any order cycle of less than 3 weeks will only lead to a loss of profit due to inefficient ordering adjustments. Accordingly, your IO program must be able to convert a number of “eaches” to a unit of measure your vendor (or supplier or manufacturer) uses to set pack and shipping constraints: you should be able to calculate number of pounds, pallets, layers, cubes, and dollars on the fly. If your program doesn’t do these calculations, then you know that it doesn’t evaluate vendor minimums. As discussed in last week’s blog on carrying cost, your IO program must look at the realities in the warehouse to be successful. While an order cycle of 49 days might be most optimal in your algorithm, your DC might only be able to handle the trucks from a 28 day order cycle. Similarly, you may experience higher incremental warehouse costs once your warehouse surpasses 90% fullness. Do your algorithms take these factors in to account? An accurate demand forecast is absolutely critical to a successful IO program. Your demand forecast should drive your entire replenishment model, from your SKU Order Point (OP – your system does calculate an order point from bottom up right?) to your Order up to level (OUTL – top side). 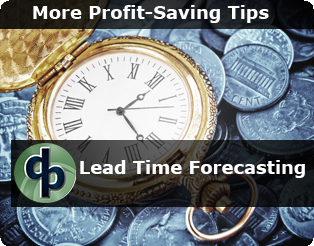 Similarly, you need to have a lead time forecasting program. Otherwise, inaccurate vendor lead times will lead to overstocks and out-of-stocks. A simple and effective vendor scorecard is essential for evaluating vendor lead time accuracy. Stay on it! Lastly, I’m assuming you use safety stock in your replenishment model, which should incorporate your desired service goals. Does your IO program adjust the safety stock levels in the modeling for seasonal SKU (products)? Does your IO program evaluate your carrying costs with safety stock as part of your carrying costs? If you are running a business with more than 30 vendors (suppliers or manufacturers), sales over $50 million and more than a 1000 SKUs, it’s complicated. If the vendors have different units of measure beyond eaches and dollars for constraints, then Excel is probably not effective in calculating IO. If you pull the component parts of your IO, you’ll find profit under it all. 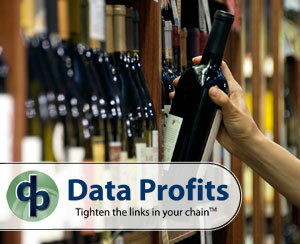 Would you like to see how Data Profits does inventory optimization? Request a demo, and we’ll show you behind the curtain.